Directions: Location: Oostvaardersbosplaats 1, Almere, The Netherlands.Directions: Getting there is easy. 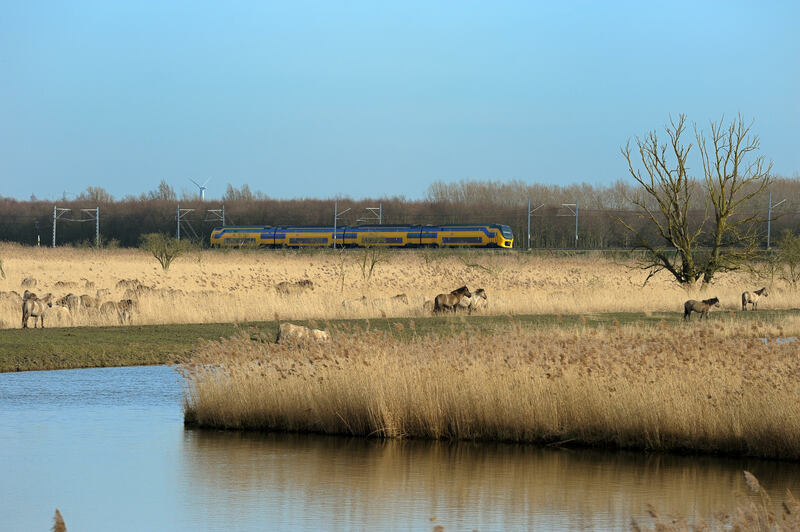 The location is approx 30km East of Amsterdam, The Netherlands. Leave the A6 highway (from Almere - Lelystad) at exit 8, Almere Buiten-Oost. You will now be on the Buitenring, heading North-West. Follow this road for approx 3km, until you see Oostvaarders Visitor Center at your right hand side. 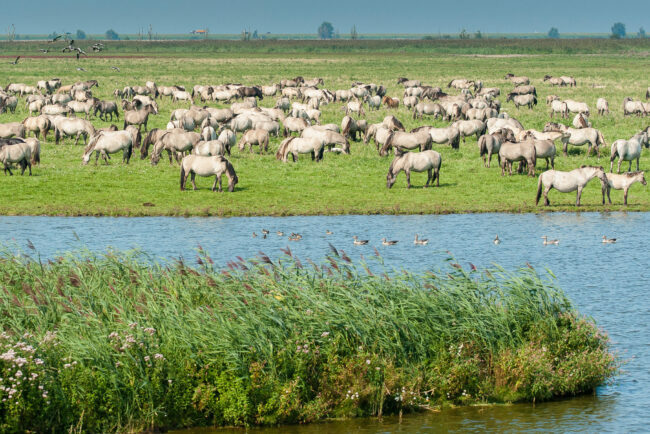 The Oostvaardersplassen Natural Park is an unique location in The Netherlands. 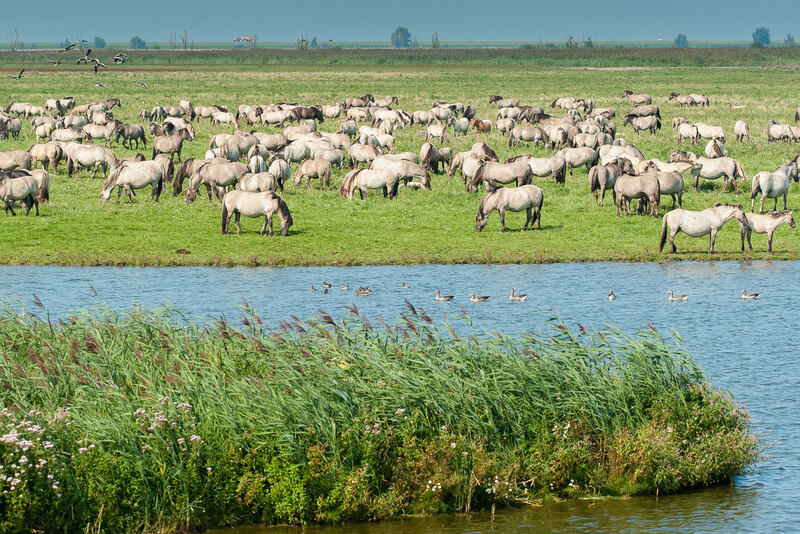 Just image, hundreds and hundreds of wild Konik horses just outside a town of 200 Thousand people. The park itself is an area of 56 square km and part of a hughe area of land claimed from The Netherlands largest lake. 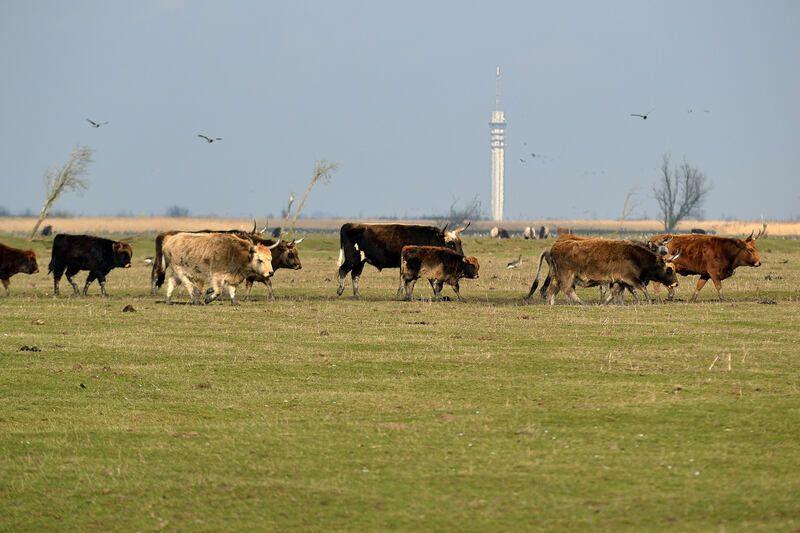 In fact, what is now the Natural Park is a patch of land that was left over as it was too wet and sandy for agricultural purposes. It was considered an excellent area for industry, but nature struck back. 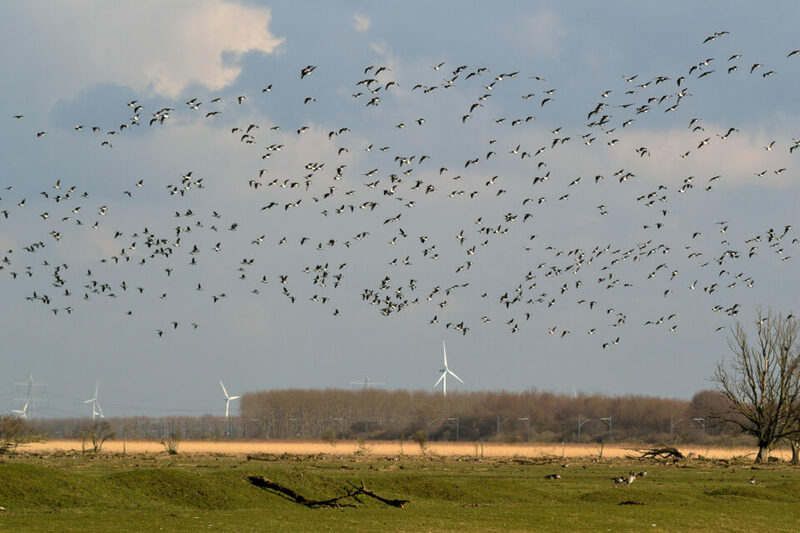 Thousands of birds started breeding in this area. Sometimes even birds and plants that were no longer seen in The Netherlands, such as the Sea Eagle arrived. 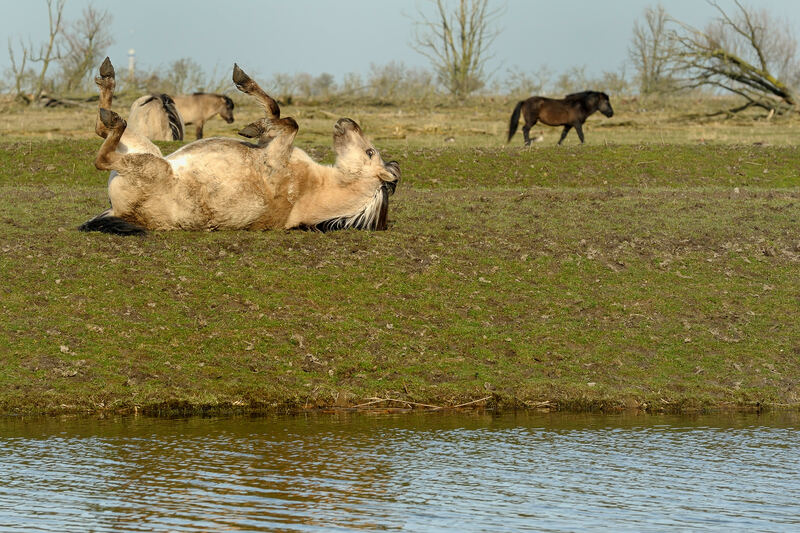 In the early eighties 20 Konik horses were brought into this park. They did amazingly well and have become one of the largest herds in Europe. Whatever the season, I can just stand there for hours and watch these horses, wild cows, foxes, bird and all the other wild life at close distance. And in winter time, if you’re lucky and early in the day you might see red deer swimming cross a 30 meter ditch that separates the flat lands from the forest. 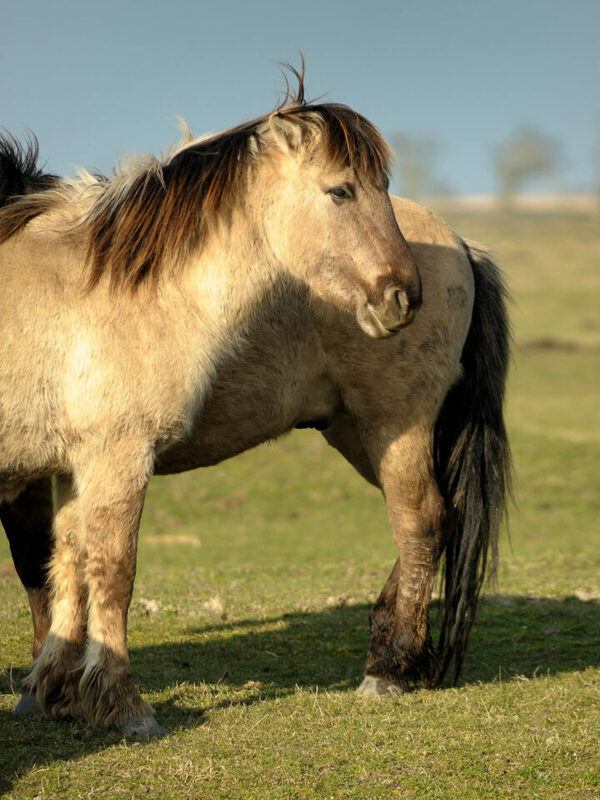 But what I like most is to see the interaction between the wild Konik horses. In general best time for taking pictures is at the end of the day, when the sun will be behind you. There are no trees between you and the wild life. If you want to see the red deer swimming, arrive before Sunrise. Camera tips: Tripod and strong tele lens. I use the Tamron 150-600mm. But also toss a wide angle lens into your camera bag to capture the landscape. In particular the clouds are great as they are often lit from below as the light reflects from the large IJsselmeer lake. If you use a tripod, switch off the vibration reduction. Don’t forget to bring a warm jacket as you will be exposed to the wind.